Otis is now 6 months old. Likes hanging out with his sisters Rosie and Cricket and big brother Otto. Can’t resist a spot of sunshine likes his master. ah the good life – glowing picture of health too, what is he? 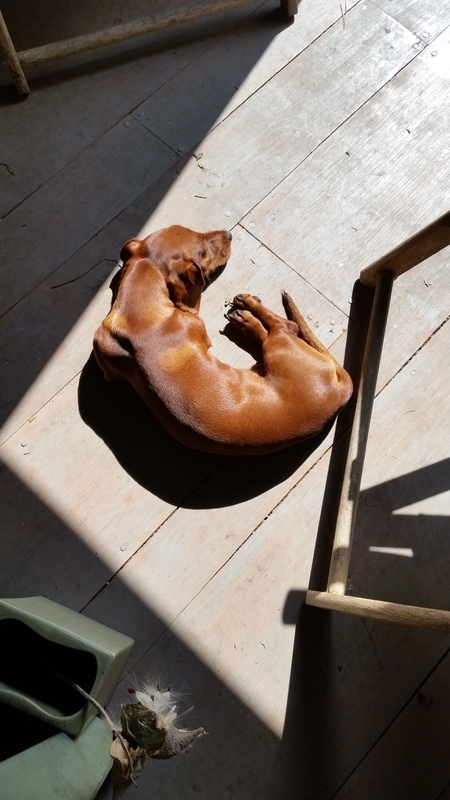 What a lovely companion, I have a little girl mini dachshund who is a great gardening companion. If you’re interested here is a link to a post I did on her and other chillies, her name is chilli.